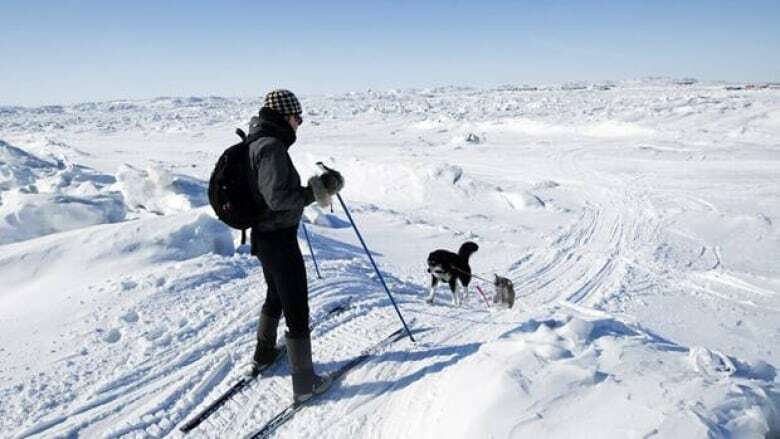 The spring snow pack in the Arctic is disappearing at a much faster rate than anticipated even by climate change models, says a new study by Environment Canada researchers. That has implications for wildlife, vegetation and ground temperatures, say the scientists, who looked at four decades of snow data for the Canadian Arctic and beyond. Combined with recent news that the Arctic sea ice retreated to an all-time low this summer, it suggests climate change may be happening much faster than expected, said Dr. Chris Derksen, a research scientist for Environment Canada and one of the study's authors. "What we discovered was that there is a significant reduction in the amount of snow cover, particularly in May and June… and the rate of that decline is actually slightly faster than the loss of summer sea ice," Derksen said in an interview. They studied 40 years of data from across the Arctic from April to June, and found the decline in spring snow cover was actually slightly faster than the decline in sea ice that made headlines around the world. "It's important for a number of reasons," Derksen said. Not only does snow provide a pulse of fresh water when it melts, but it has a cooling effect that is felt throughout the Earth, he said. "White snow is very bright. It reflects a high proportion of the incident solar energy back out to space and when you melt that snow and you expose the darker ground underneath it, then you begin to absorb a much higher fraction of that incident energy. And when you absorb that energy at the land surface, that contributes to further heating and warming." Previous studies found that snow isn't arriving any earlier in the fall. The article published in the latest Geophysical Research Letters, the journal of the American Geophysical Union, said the changes in the past five years were "profound." The five lowest June snow cover values all occurred in the past five years, it said. In Eurasia, new records for the lowest spring snow cover extent have been set every year since 2008, and in North America, record lows have been set in three of the past five years. The authors calculated the rate of decline of June snow cover extent between 1979 and 2011 is more than 17 per cent each decade. "When considered alongside the documented changes to the cryosphere, including warming permafrost, reduction in summer sea ice extent, increased mass loss from glaciers, and thinning and break-up of the remaining Canadian ice shelves, there is increasing evidence of an accelerating cryospheric response to global warming," Derksen and co-author Ross Brown wrote. The cryosphere refers to places on Earth so cold that water is solid — either ice or snow. Derksen cautioned that five to 10 years in terms of climate is a very short period of time, but the change in that time has been substantial. "The climate models project that we'll be seeing these changes, but they project them further out into the future," he said. "Certainly the past shows some very strong changes that when you compare them to the sea ice and you see the major changes in the summer sea ice as well, that does suggest this Arctic-wide change driven by warming surface temperatures." Scientists from the U.S. National Snow and Ice Data Centre said an area of sea ice bigger than Alberta disappeared this summer from the Arctic. Previous studies by Environment Canada found less dramatic but similar reductions in snow cover further south in Canada in February, March and April. Derksen said increasing CO2 and greenhouse gases are driving the change. "I think it's just important that we realize what the impacts of increasing temperatures are across the Arctic and that these impacts on snow cover and sea ice then have follow-on impacts on the Arctic climate system and the global climate system."